SAN DIEGO, CA – August 14, 2014 – Youngevity International, Inc. (OTCQX: YGYI) (www.YGYI.com), a global direct marketer of nutritional and lifestyle products and also a vertically-integrated producer of gourmet coffees for the commercial, retail, and direct sales channels, has teamed up with actor/celebrity and health advocate Danny Glover, to help educate individuals on the benefits of proper nutrition, activity, and wellness principles as solutions to the growing health concerns of diabetes and obesity. 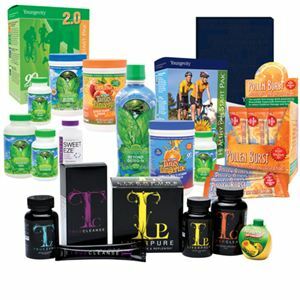 Youngevity® has been bringing the message of the valuable and beneficial role of nutrition, exercise and proper dietary supplementation in combating these types of growing health concerns for over 17 years. Youngevity products, specifically its signature nutritional systems of the Healthy Body Paks™, have been designed and formulated to support the body’s health potential in various health conditions and states, using the 40 years of research of their founder, Dr. Joel Wallach, and continued collaboration and evaluation with academic and research institutions such as Clemson University, University of Manitoba, University of Boston, University of Minnesota, and University of Rhode Island. Danny Glover, actor and celebrity health advocate, had been introduced to the Youngevity® products through a close friend due to some personal health challenges and he experienced immediate benefits. His passion for helping others and his celebrity position created an opportunity in which he asked Youngevity to support his mission in Georgia to educate individuals about the value and impact nutrition and Youngevity philosophies on health and wellness. “I was only taking the products for a few short months when I realized Youngevity® had made a huge impact on my health, more than anything I had ever taken. Relieving the pain was one thing, but knowing that there was an amazing solution out there that could help millions of others, that’s my mission now, I look at this event as the first step to a national healthy movement”, said Danny Glover, celebrity and actor. The council of Columbus, Georgia is designating August 15th, 2014 as Danny Glover & Youngevity Day. Various local and national media will be present during the ceremonies and events will take place on August 14th-15th, culminating into a presentation by the mayor, Teresa Tomilson, Friday night in front of hundreds attending the health seminar. “We were truly honored for the invitation by Danny Glover and the amazing people of Columbus, GA on continuing this crusade started 40 years ago by my father, Dr. Joel Wallach, to end suffering by providing healthy nutrition. We have grown from a few people in a room to millions in over 32 countries because of opportunities such as this,” said Steve Wallach, CEO of Youngevity. Danny Glover will keynote and host a presentation by Youngevity® Wellness Expert and Scientific Advisory Board Member, Sanjeev Javia, on August 15th, 2014. Sanjeev Javia is an international Youngevity speaker who has presented Youngevity philosophies most recently at the Malaysian Medical Association, Mexico International Ingredient Conference, and American Association of Orthopaedic Surgeons. “Diabetes and obesity are two of the most nutritionally and lifestyle preventable diseases we know of, but messaging and educating the solutions properly are vital. Our scientific and clinical research, our knowledge of how nutrients support the body’s ability to defend, protect, and develop, and most importantly our deep understanding of the behaviors of people, this is what allows us to be leaders in our field, we’re excited to work with Danny Glover on this mission,” said Sanjeev Javia, Youngevity Scientific and Athletic Advisory Board Member. Youngevity® and Sanjeev Javia will also be meeting with representatives of The Quinton Aaron Foundation, a foundation started by Quinton Aaron the star of the movie, The Blind Side, documenting the story of NFL Lineman Michael Oher. The Foundation was created to fight bullying and end childhood obesity. Youngevity’s weight loss program, developed by Sanjeev Javia, The Healthy Body Challenge, has helped millions of individuals safely lose weight and significantly reduce their chances of weight related health issues, and these principles are being investigated for use in younger children. Youngevity International Inc., (OTCQX: YGYI) (www.YGYI.com) is a fast-growing, innovative, multi-dimensional company that offers a wide range of consumer products and services, primarily through person-to-person selling relationships that comprise a “network of networks.” The Company also is a vertically-integrated producer of the finest coffees for the commercial, retail and direct sales channels. The Company was formed after the merger of Youngevity Essential Life Sciences (www.youngevity.com) and Javalution Coffee Company in the summer of 2011. Formerly known as AL International, Inc., the Company changed its name to Youngevity International, Inc. in July 2013. This release includes forward-looking statements on our current expectations and projections about future events. In some cases forward-looking statements can be identified by terminology such as “may,” “should,” “potential,” “continue,” “expects,” “anticipates,” “intends,” “plans,” “believes,” “estimates,” and similar expressions. The forward-looking statements contained in this press release include statements regarding the Company’s expected future growth, the contribution of Mr. Glover and the use of the Company’s products to help others increase and protect their health and wellness. These statements are based upon current beliefs, expectations and assumptions and are subject to a number of risks and uncertainties, many of which are difficult to predict, including our ability to continue our rapid growth, the success of our collaboration with Mr. Glover, our ability to help others increase and protect their health and wellness through the use of our nutritional systems, including our signature Healthy Body Paks™, and the other factors described in our annual report on Form 10-K for the year ended December 31, 2013 and our other filings with the SEC. The information in this release is provided only as of the date of this release, and we undertake no obligation to update any forward-looking statements contained in this release based on new information, future events, or otherwise, except as required by law. ← Start Loving Your Dentist Visit!